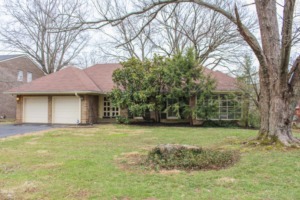 Rare opportunity to own a 4BR, 2BA Walkout Ranch in convenient Bancroft area!! Lovingly maintained for over 47 years, the roof, HVAC and hot water heater have all been updated in last few years. Rarely found ranch with main level garage too!! Back yard falls away towards Goose Creek. Perfect home for those who love to update or rennovate! Click to schedule your showing.